This UK-wide initiative, organised by Love to Ride, encourages individuals and organisations to get on a bike – or indeed, back in the saddle – cycling as much as possible throughout the month. It’s for everyone: from keen cyclists who ride their bike daily, to those who are trying to become more active or reduce their carbon footprint by commuting on two wheels, to those who occasionally enjoy a weekend countryside cycle (in the direction of a pub serving roasts). The best part about taking part in Cycle September, besides the myriad benefits of riding a bike, is that you can win some awesome PRIZES, like a brand new bike or a beautiful upcycled bag through Love to Ride’s prize draws. All you need to do is sign up and log your ride(s). Of course, the more you cycle, the more opportunity there is to win. You’ll also be rewarded for encouraging others to get involved, so be sure to spread the cycling love. And even f you don’t own a bike, there are plenty of bike share schemes across the UK that’ll get you up and cycling. In Brighton & Hove, we’re very lucky to have BTN BikeShare to fulfil our cycling needs. 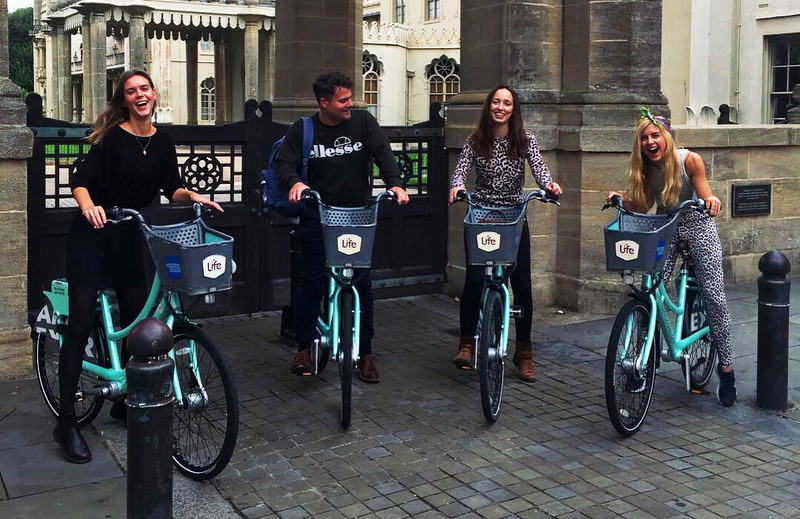 The Fugu team are huge fans of the scheme, and because of it many of us now cycle to and from the office regularly. Cycle September has encouraged us to use BTN BikeShare even more than usual.